SIZING & COMPATIBILITY: Fits iPhone X, 8 /8Plus, 7/7 Plus, 6/6S/6 Plus/6S Plus, and other 5.5'' mobile phones,also fit smaller phones. Fits with 5.5'' screen size phones perfectly with slim case on. QUALITY MATERIALS: Made of soft and breathable Neoprene, That is made To Flex, Twist, And Bend, and folds without warping. Along With Full Headphone Jack Support For Apple And Android Phones. 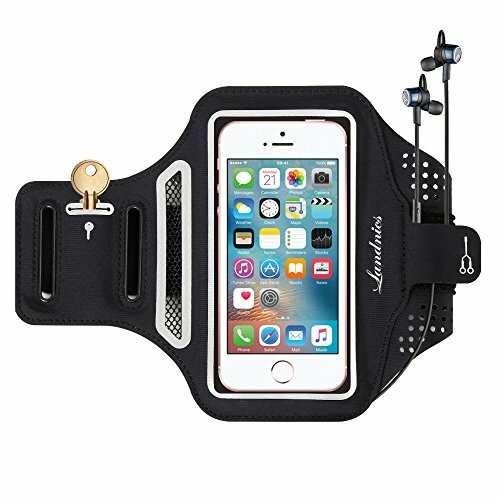 TOUCH SCREEN COMPATIBLE: Enjoy the full use of your phone through the protective screen cover on the armband with fully touch compatible, easily answer calls, manage your playlist. EXTRA FEATURES: Water resistant design protects against water and sweat. Adjustable Velcro Strap-Two fastening sizes easily fits arm size from 10.5 to 14.7 inches. KEY , CARD AND HEADPHONE HOLDERS make your movement more convenient and comfortable. REFLECTIVE STRAP : Armband features reflective borders for safe running in low light conditions,keeps you visible and safe in the dark. If you have any questions about this product by Landnics, contact us by completing and submitting the form below. If you are looking for a specif part number, please include it with your message.